1st place: A Step Taken Today... Made by Shorena Janjghava, Tbilisi, Georgia. 2nd place: Let's save together. Made by Vladislav Meschanchuk, Minskaya oblast, Republic of Belarus. 3rd place: To pardon impossible, to execute. Made by Anna Volobueva, Vasily Baryshev, Alexandra Chistova, Maistrenko Ekaterina and Koveshnikova Elina, St. Petersburg, Russia. Naturvernforbundet and the international jury congratulate the winners, and express gratitude to all participants for all the interesting videos they submitted. a. How can we live better and have more fun – but in a way that use less energy? b. 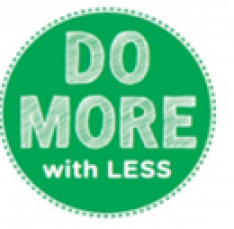 How can we make our friends, colleges, parents, neighbours or politicians understand the importance of doing more with less? c. What have you done to do more with less? SPARE is an international school project on energy and climate, where volunteer schools and pupils work to save energy and resources in a wide range of countries. The main goal of SPARE is to reduce greenhouse gas emissions to mitigate dangerous climate change. The fastest and cheapest way to reach that goal is to use the energy we have more efficiently. Energy saved is much more valuable than energy produced – it reduces pollution, avoids new pollution, depletion of nature, saves money, improve comfort – there are so many advantages! The possibilities to use energy more efficient in our everyday lives are endless, and to change habits does not mean that you must reduce comfort or quality of life!